My sole occupation is love. As for trials, the more the better. Cares do not bother the detached man. There is nothing better or more necessary than love. The endurance of darkness is the preparation for great light. The soul that walks in love neither tires others nor grows tired. When Thou didst regard me, thine eyes imprinted in me Thy grace. Consider that God reigns only in the peaceful and disinterested soul. This immensity is indescribable and because of it the soul is dying of love. The will is content with nothing less than His presence and the sight of Him. One human thought alone is worth more than the entire world, hence God alone is worthy of it. Love consists not in feeling great things but in having great detachment and in suffering for the Beloved. The wisdom of this world is foolishness with God. The soul has to proceed rather by unknowing rather than knowing. In remaining unattached, a person is unencumbered and free to love all rationally and spiritually, which is the way God wants him to love. I lost myself; and yet was found. Now that my every act is love. Contemplation is nothing else but a secret, peaceful, and loving infusion of God, which if admitted, will set the soul on fire with the Spirit of love. 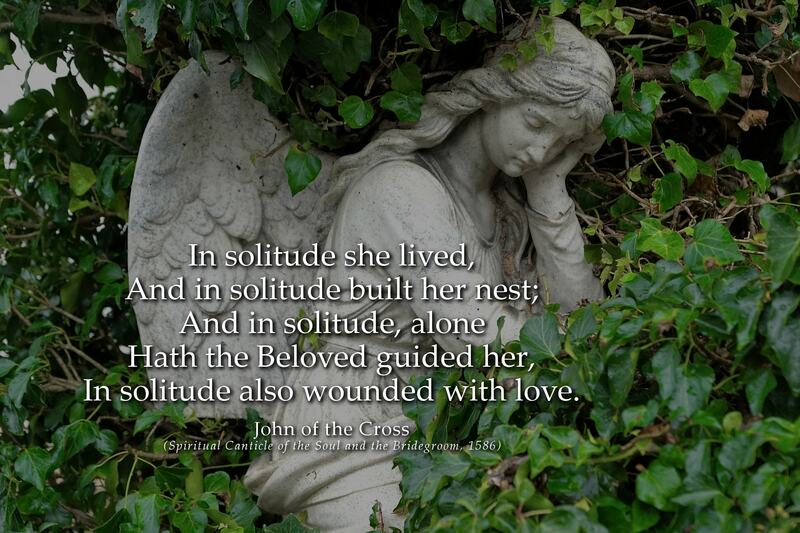 When the soul, then, in any degree possesses the spirit of solitary love, we must not interfere with it... In a word, it is for this love that we are all created. God is awakened in the soul. God breathes in the soul... Oh, how happy is this soul that is ever conscious of God resting and reposing within its breast! Oh, night that joined Beloved with lover, Lover transformed in the Beloved! I remained, lost in oblivion; My face I reclined on the Beloved. All ceased and I abandoned myself, Leaving my cares forgotten among the lilies. Let us rejoice, O my Beloved! The soul is drawing nearer to Him, and so she has greater experience within herself of the void of God, of very heavy darkness, and of spiritual fire which dries up and purges her, so that thus purified she may be united with Him. In solitude also wounded with love. Except in Thy presence and before Thy face. O killing north wind, cease! Come, south wind, that awakenest love! And the Beloved shall feed among the flowers. And pass by the mighty and the frontiers. The soul that travels in the light and verities of the faith is secured against error, for error proceeds ordinarily from our own proper desires, tastes, reflections, and understanding, wherein there is generally too much or too little; and hence the inclination to that which is not seemly. 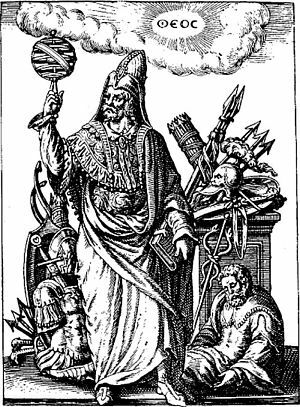 All my occupation now is the practice of the love of God, all the powers of soul and body, memory, understanding, and will, interior and exterior senses, the desires of spirit and of sense, all work in and by love. All I do is done in love; all I suffer, I suffer in the sweetness of love. Souls will be unable to reach perfection who do not strive to be content with having nothing, in such fashion that their natural and spiritual desire is satisfied with emptiness; for this is necessary in order to reach the highest tranquility and peace of spirit. Hence the love of God in the pure and simple soul is almost continually in act. When a soul has advanced so far on the spiritual road as to be lost to all the natural methods of communing with God; when it seeks Him no longer by meditation, images, impressions, nor by any other created ways, or representations of sense, but only by rising above them all, in the joyful communion with Him by faith and love, then it may be said to have found God of a truth, because it has truly lost itself as to all that is not God, and also as to its own self. The supper which revives, and enkindles love. 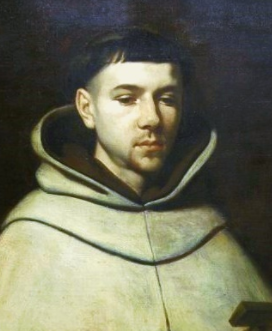 John of the Cross or in Spanish San Juan de la Cruz was a Spanish Carmelite friar, priest and mystic. He is best known for his insightful mystical writings and poetry. 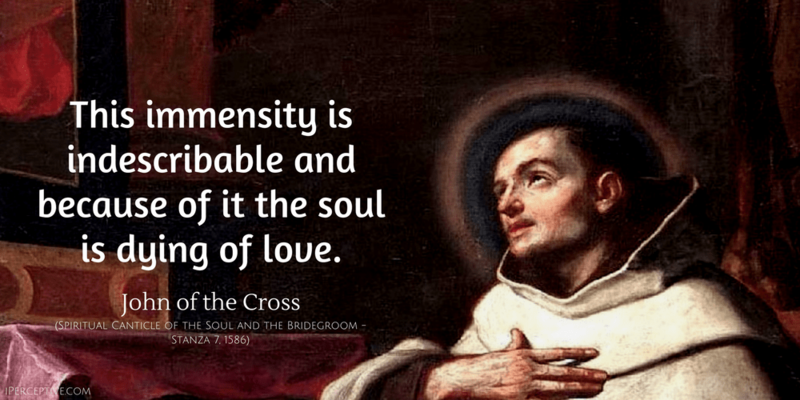 Alongside Teresa of Avila he has been very influential in Spanish Christian history.